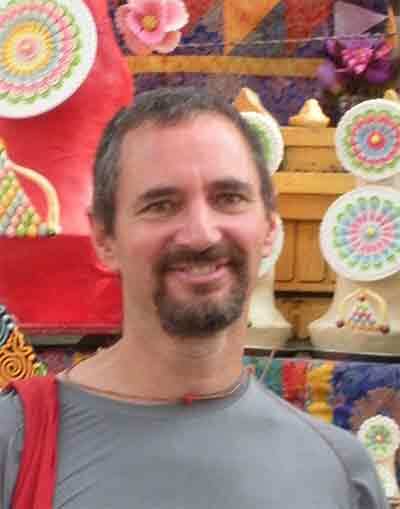 Manny Mansbach teaches Insight (Vipassana) Meditation in Brattleboro, VT, in Bellows Falls, VT and elsewhere in New England, and offers counseling and consultation for individuals, couples and organizations. For his entire adult life, Manny has been keenly interested in nurturing and facilitating the connections between transformative inner work such as meditation and therapy, relational practices based in skillful communication, development of wholesome community, and nonviolent social transformation. The Buddha’s Noble Eightfold Path begins and ends with Wise View. 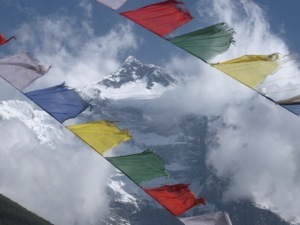 This path factor is the initial understanding that leads us to begin an inquiry into the heart and mind, stimulates diligent investigation into the way things are, and commits us to an approach to life that leads to transformative understanding of both the causes of suffering and the end of distress. Wise View involves no longer mistaking the unsatisfactory for the satisfactory, an experiential knowing of the law of karma, and a movement away from grasping. Wise View is the foundation of the whole path of meditation and dharma practice, and ultimately leads to an integrated understanding of the liberating teachings of the Buddha and the successful development of meditation and wisdom. In this class we will utilize readings from Asian masters and contemporary western teachers, as well as online dharma talks from various teachers. 20 Church Street, just above downtown Bellows Falls. No pre-registration required. An ongoing, open group, consisting of silent meditation, dharma instruction and discussion. $12 suggested donation. No one turned away for lack of funds. For more information or to be added to the email notification list (usually sent out about 2-3 days before each meeting) please contact Manny Mansbach by email or phone: 802-490-4599. Saturday, May 11, 2019, 9:30 a.m. – 4:00 p.m.
People experience fear for many reasons, both natural and unnatural. From our biological wiring to early trauma and disconnection from our basic goodness, as well as social, environmental, and political ills, fear abounds in the hearts of human beings. Contemplating the nature of fear can help us relax our grip and lead us to discover a deeply courageous heart that can protect us and help us thrive in any set of conditions. Popular presentation of the Insight Meditation tradition tends to emphasize gentle or yin qualities such as kindness and metta. Courage is related to several of the paramis in our tradition—especially determination, energy, and patience. It is vital to attend directly to cultivating qualities such as courage and bravery to fully empower our practice and our lives. In this daylong retreat, new and experienced meditators alike will investigate how we establish ourselves on four related pathways of freedom: from fear of ourselves to basic fearlessness, from fear of others to fearless compassion, from fear of openness to transcendent fearlessness, and finally from fear of empowered expression to fearless action in the world. These pathways illuminate the way toward more confident engagement and courageous leadership in both our inner and worldly lives. Email vimsretreatmail@gmail.com to register or ask questions. Because space is limited, preregistration is recommended. There is a $25.00 registration fee, which can be waived upon request. The teachings are offered freely with the opportunity of dana for the teacher. Bring a bag lunch; tea and water will be available. The Zen master Ikkyu was once asked to write a distillation of the highest wisdom. He wrote only one word: Attention. So Ikkyu obliged him. Two words now.